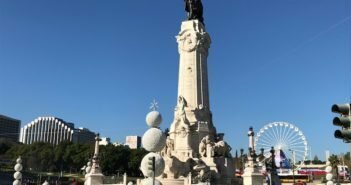 Rua Augusta is the Baixa’s main commercial street, stretching from the Terreiro do Paço to the Rossio. 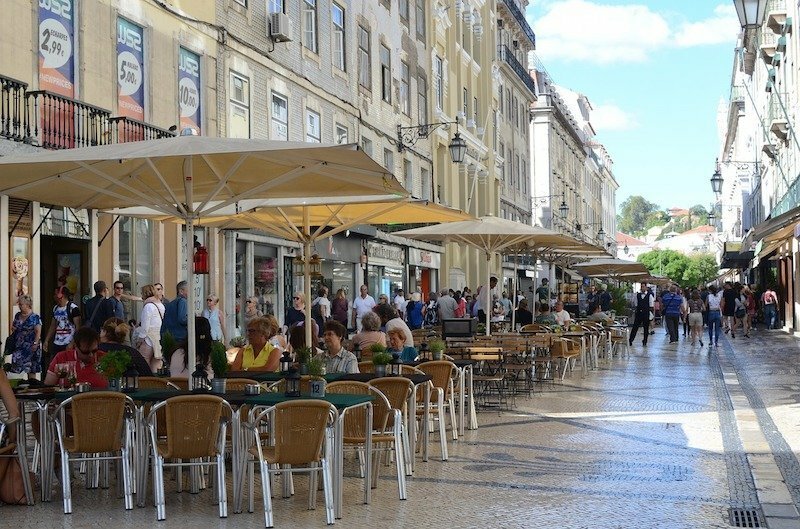 Pedestrianised since the 1980s with Portuguese calçada (mosaics of limestone and black basalt), Rua Augusta is home to numerous fashion retailers, restaurants and cafés. Brands such as Benetton, Mango, Zara, among others, have megastores here. Street performers are frequently found entertaining passers-by. The street preserves most of the buildings erected after the 1755 earthquake. 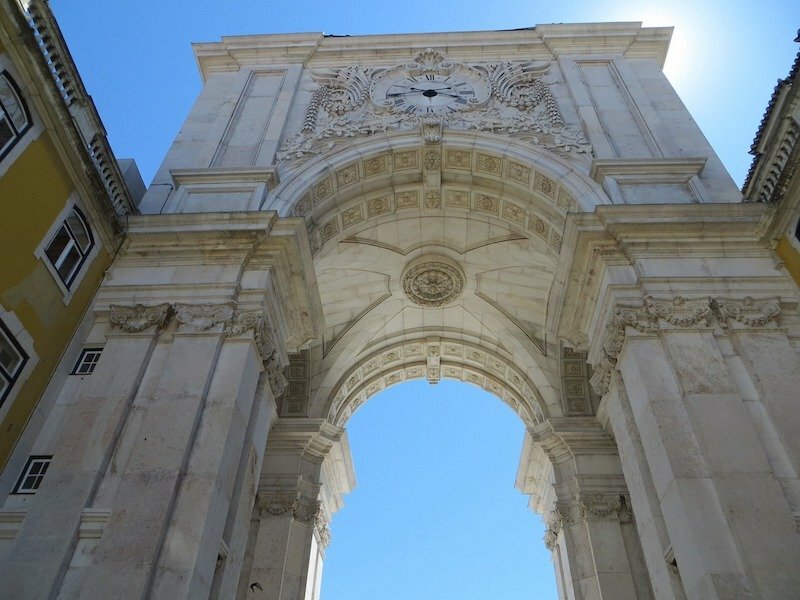 It begins at Arco da Rua Augusta, a gate in the shape of a triumph arch, and Terreiro do Paço’s most prominent building. 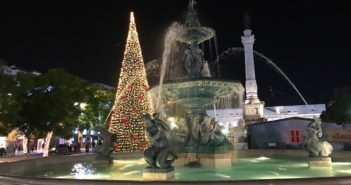 The arch was projected after the earthquake to celebrate Lisbon’s reconstruction, though it wasn’t completed until 1875. 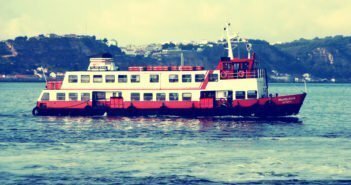 It is adorned with statues of historical figures, such as Viriato, a Lusitan warrior that fought the Romans, Vasco da Gama, Dom Nuno Álvares Pereira and Marquês de Pombal, flanked by allegoric figures representing the two rivers Tejo and Douro (in Porto). At the top of the arch, a Latin inscription honors the ancestors. A nineteenth century clock can be seen on the north side of the arch. You can take a lift to a small exhibition centre behind the clock. 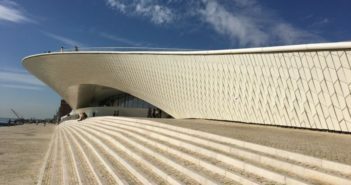 From there, go up the spiral staircase to the viewpoint for panoramic views of the Baixa grid on the north side, and of Terreiro do Paço facing the River Tejo on the opposite side.